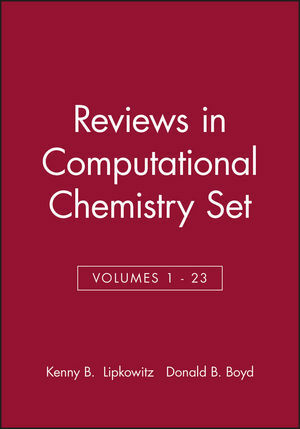 This volume, like those prior to it, features chapters by experts in various fields of computational chemistry. Topics covered in Volume 18 include molecular modeling, computer-assisted molecular design (camd), quantum chemistry, molecular mechanics and dynamics, and quantitative structure-activity relationships (qsar). Kenny B. Lipkowitz, PhD, is a retired Professor of Chemistry from North Dakota State University. Donald B. Boyd was apponted Research Professor of Chemistry at Indiana University - Purdue University Indianapolis in 1994. He has published over 100 refereed journal papers and book chapters. Clustering Methods and Their Uses in Computational Chemistry (Geoff M. Downs and John M. Barnard). The Use of Scoring Functions in Drug Discovery Applications (Hans-Joachim Böhm and Martin Stahl). Potentials and Algorithms for Incorporating Polarizability in Computer Simulations (Steven W. Rick and Steven J. Stuart). New Developments in the Theoretical Description of Charge-Transfer Reactions in Condensed Phases (Dmitry V. Matyushov and Gregory A. Voth). Linear Free Energy Relationships Using Quantum Mechanical Descriptors (George R. Famini and Leland Y. Wilson). The Development of Computational Chemistry in Germany (Sigrid D. Peyerimhoff). Appendix. 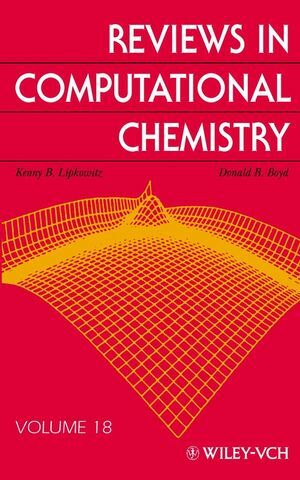 Examination of the Employment Environment for Computational Chemistry (Donald B. Boyd and Kenny B. Lipkowitz).